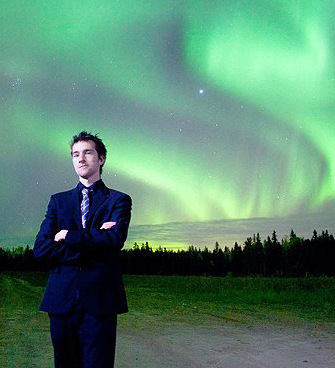 We are excited to feature the work of Karl Johnston, professional astronomy and portrait photographer, who is internationally known for his photography of the Northwest Territories. 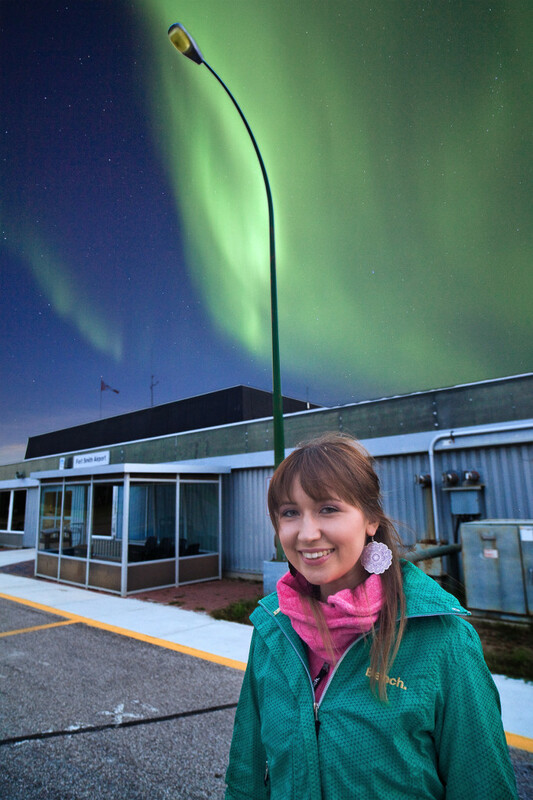 Adventure model was my first attempt at photographing a person under the northern lights, live on location, as it was occurring across the silent subarctic night. I used off camera flashes without Photoshop, to achieve this. It was a very purist approach which awed people to learn it hadn’t been done initially in Photoshop. In 2014, I decided to create a different series – this time, with Photoshop. I wanted to see if I could create urban portraits of people that I encountered in my travels, and feature the stories of their dreams in short 10 minute interviews. For each person I encountered, I asked them one question: “What is your dream in life?” Check out some of the responses I’ve had so far. 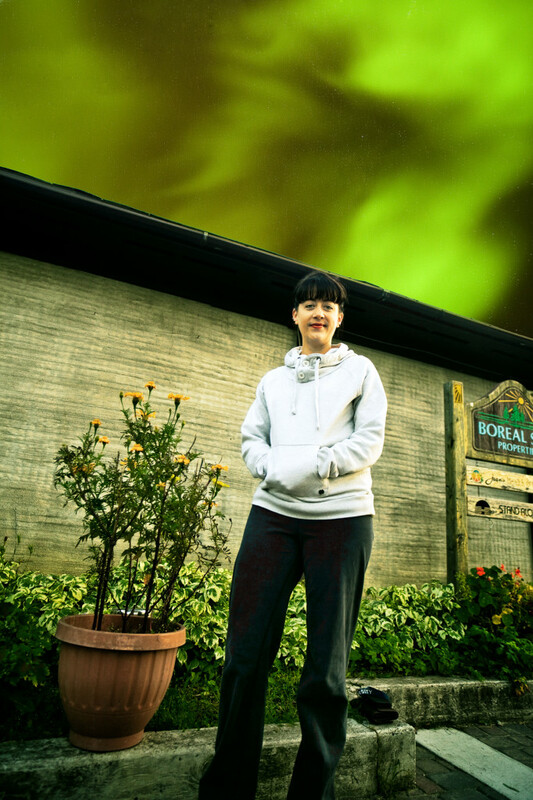 The aurora borealis we got lucky with, it followed the Slave River just 15 miles outside of Fort Smith, Northwest Territories. The natural green light spewed above turning the river an emerald green. Like gemstones’ light were reflecting from above. A friend of mine wanted something done traditional to her culture, so I thought what more traditional and authentic than doing it this way, on the land. She looks out of the frame, into the future and the distance – bright and shining eyes – with the natural setting in behind. In the far distance you can see the light pollution of the town of Fort Smith. It seems insignificant to the great skies and glimmering light from nature bordering around her. John: “Well, every moment is unique. We are in eternity. Our minds, our spirits, our spirits work through our minds. And our minds are material…and they are discovering how the brain is working, how it’s processing things. It’s coming from the spirit world and it’s going through this material world. And we’re reduced, our perception is reduced to our five senses. 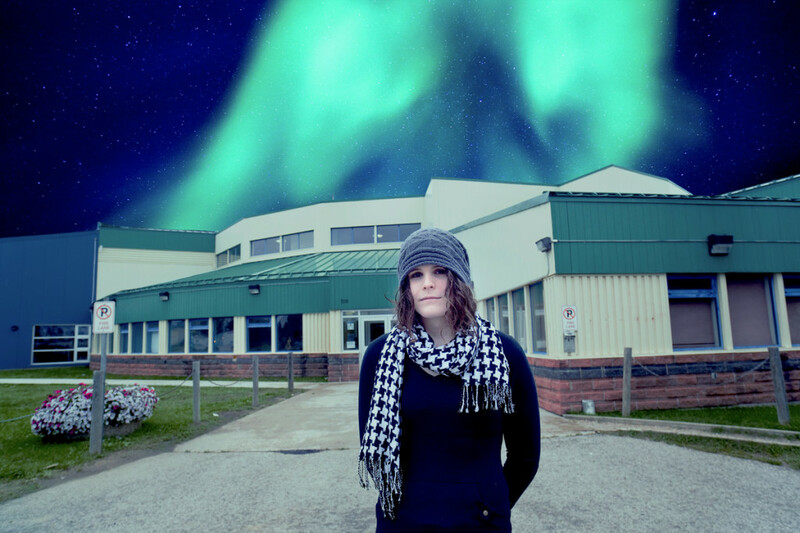 A conversation with a young woman, in front of Fort Smith Recreation centre, who is going through the change from a man to a woman. Jodi: (laughs) “It’s kind of hard to answer. Before I had a difficult, unrealistic dream: one world religion, world peace and all that crap…and I find, it’s become a little closer to home, something I can achieve. Obviously, I’m a little bit different compared to most people…and I’m part of a very small minority, which has a bad view as it is. Karl: “Well, I think you are for sure…I think when I first heard…I thought: ‘Good for her’. Truly. It takes a lot of guts to be WHO you are, and really not only WHAT but WHO you are inside. In front of a health cafe in Fort Smith, NT. Fae Leah: “I have a lot of dreams, but I know that my biggest dream is essentially to see the dismantling of industrial civilisation. I know that it is inherently destructive and completely unsustainable and operates on hierarchies of privilege. There are many others who are less privileged who feel the impacts of this industrialsed way of life a lot more deeply than we do. Speaking for myself, I’m quite insulated in the grand scheme of things. With the ever accelerating need for finite resources and the stuff that we’re seeing now with drilling into the arctic, offshore drilling, tailing pond spills and massive, massive devastation. I think that, ultimately, it will be a lot less messy if we bring it all down ourselves. I’m not deluded in terms of recognising how this is going to look. I get that it is very serious and very messy. It is something I want to be a part of and something I want to see happen. It’s been a very big factor in me having my own children. This really grave concern of; what are we going to leave for future generations? So to see something – like the phoenix arising from the ashes – to see something emerge from this way of life. And have these sort of reciprocal communities that take over, that recognise the intrinsic worth of everything and the sacredness of ALL life, and that ripple effect – that regardless of whether you are on the top and reaping the benefits, there is no other planet – y’know? At some point this can’t go on. It’s baffling to me because it isn’t rocket science, and there are so many people who don’t seem to really get it. I think it goes back to being insulated from privilege. 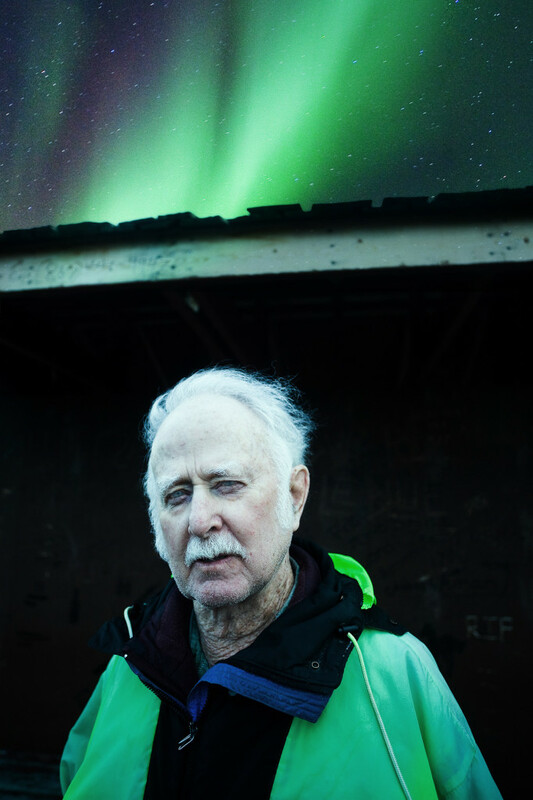 Canadian professional astronomy and portrait photographer, Karl Johnston, is internationally known for his photography of the Northwest Territories. In 2009 he became known as the first Canadian to be among the winners of the Astronomy Photographer of the Year exhibition in London, UK, at the Royal Observatory of Greenwich where he placed highly commended in the Earth & Space category.